Kongma La Pass 5, 545m is one of the Everest highs passes Trek with less crowded trekking trail of Everest, Khumbu region. This pass is also included within three passes trek Itinerary of Everest region, though Khongma La is separately heading towards Everest base camp. Khongma La Pass is one of the challenging pass and glory in Everest region Himalaya’s views trekking in Nepal. 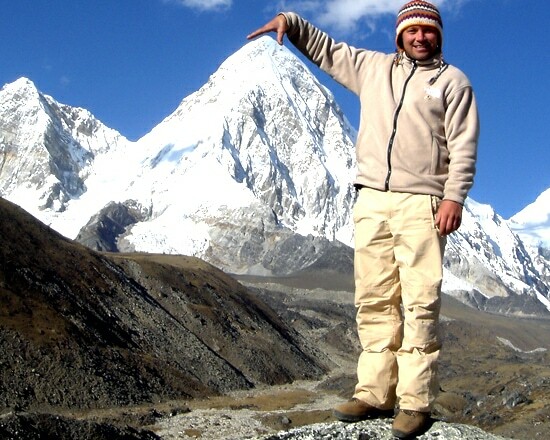 The Trek gets ahead of the Khumbu glacier opposite of Lobuche peak with the height of 6119m, many small mountains, Pokalde 5,806 m. And Mhra peak 5,616M. (kong ma Tse).The Mhra peak is South West ridge of Nuptse between the Khumbu and Nuptse Glaciers. The view from Pokalde peak and Mhra peak can see dramatic uncountable white mountains including Ama Dablam, Thamserku, Island peak, Makalu, Cho you, Everest, Pumori, Nuptse and Lhotse. Especially closest to the immense south face of Nuptse and the East of the Kongma La. 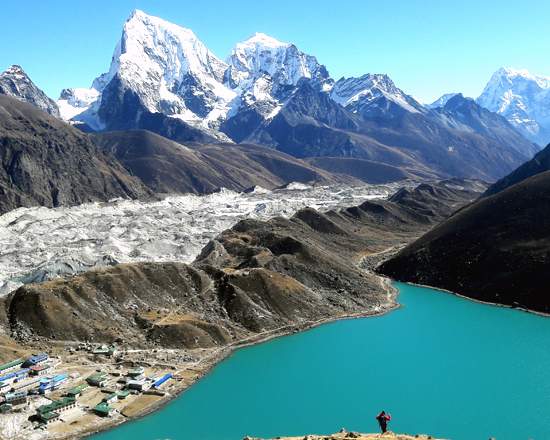 Kongma La Pass trekking is one of the picturesque Mountain View trekking on the Everest region which is ultimate high altitude demandable trekking pass between Dingboche and Lobuche. This trekking trail is most stunning of mountains view land with spectacular enjoyable trek will more gratify. Kongma la pass is alternative trails and adventure pass for the Everest base camp trekkers who are doing Kala Patthar and Base camp with 12 days time frame. This trek start flying to Lukla Hillary airport and continues to Namche, Tengboche, Dingboche and Kongma la pass, Lobuche, Gorakshep, Base Camp, Kala Patthar and back to Lukla via Feriche. 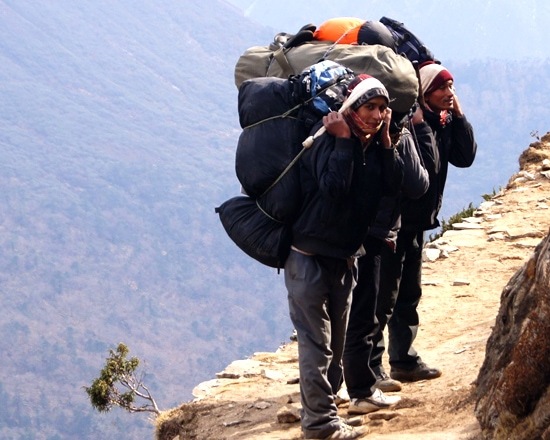 Nepal Wilderness Trekking company offers 12 Days Kongmola Trekking with professional Sherpa guide and strong porters, our staff fully equipped and insurances. Our 12 Days trekking to Kongmola starts from Lukla where you touch the ground from domestic flights at Lukla’s Airport which is also known as Hillary Airport and one of the most dangerous airports in the world. The hiking starts from Lukla passing Phakding and Namche Bazar. Namche Bazar is headquartered of Sherpa People and recommend for Acclimatization for a day to head to the next destination. There you can visit Sherpa’s museum, walk up to the Everest view point and come back to the hotel. You will pass different beautiful places while trekking to Kongmola i.e. Tengboche, Dingboche, Pangboche Dinggoma and Mehera peak etc. Day 01: Fly to Lukla early in the morning (2827 meters. 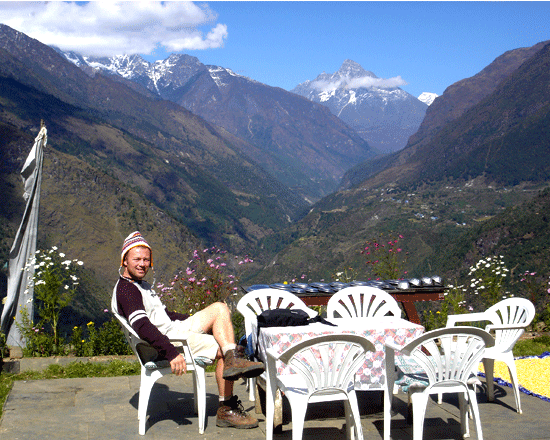 35 minutes flight) trek to Phakding (2/3 hours walking) Stay overnight at lodge. Day 02: Trek to Namche Bazaar (3443 meters. 5/6 hours walking) overnight at the lodge. Day 03: Rest day in Namche Bazaar for Acclimatization. Day 04: Trek to Tengboche (3820 meters.5/6 hours walking)stay overnight at lodge. Day 05: Trek to Dingboche (4230 meters. 4/5 hours walking) Stay overnight at lodge. Day 06: Trek to Lobuche (4900 meters. Via kongma la pass 5535 M. 6/7 hours walking) stay overnight at lodge. 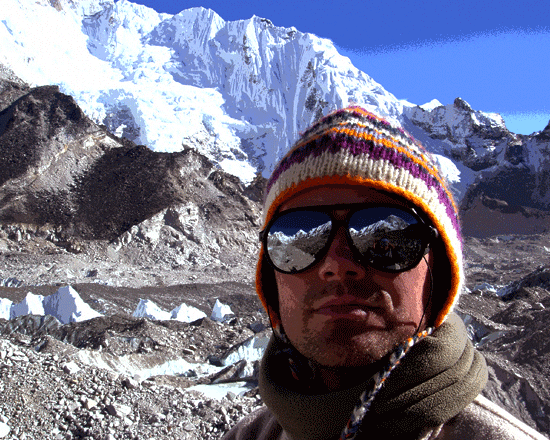 Day 07: Visit Everest Base Camp (5450 meters. 3 hours walking) early in the morning and trek back to Gorakshep, stay overnight at lodge. Day 08: Visit Kalapattar (5545 meters. Early in the morning for the best Everest view) and trek back to Pheriche (5 hours walking stay Overnight at lodge. Day 09: Trek Back to Tengboche (3820 meters. 4 hours walking) stay overnight at lodge. Day 10: Trek Back to Namche Bazaar (3443 meters. 5/6 hours walking) overnight at the lodge. Day 11: Trek back to Lukla (3/4 hours walking) stay overnight at lodge. Day 12: Fly back to Kathmandu (35 minutes flight) your guide and porter will departure you in the Lukla airport and finish the trek. All meals during the trekking (Breakfast, Lunch, Dinner ). Lodge accommodation ( Twin share ) during the trekking. One experienced, educated, well trained, fluent English speaking, friendly and government authorized trekking guide, Everest specialized and required porters (one porter for two clients). 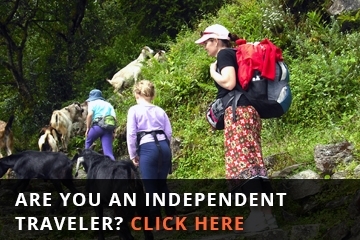 Guide's food, accommodation, salary, flight, insurance, transportation and equipment. Porter's food, accommodation, salary, insurance and equipment. 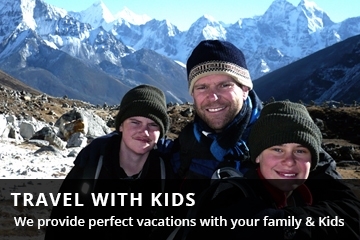 Both way flight tickets Kathmandu/Lukla/Kathmandu. duffle bag, company t-shirt, First aid kit box, seasonal fruits and Trekking completion certificate etc. Hard and soft table drinks such as tea/coffee, coke, Fanta, mineral water, beer, desert, hot shower, battery charge, laundry, phone bill and extra adventure. 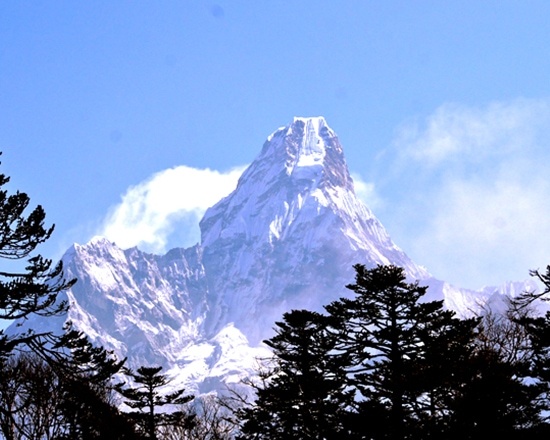 Sagarmatha National park fee ( Rs. 3390 per person) and Local government tax ( Rs. 2000 per person), you can pay on the spot. Tips for guide and porters. ( Highly suggested ).